You want more Mimosas. We give you more Mimosas. 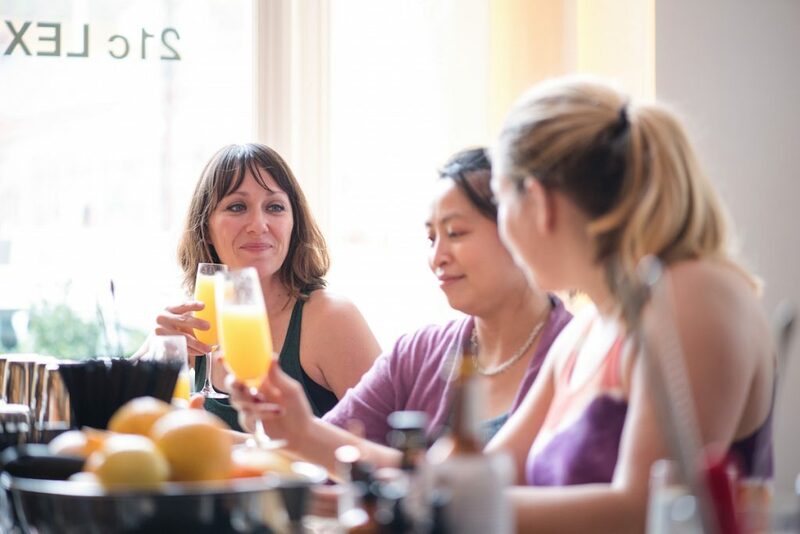 Lockbox is now serving bottomless Mimosas at brunch. You heard it correctly. This time honored tradition is a brunch must, so why not let the cup over-floweth? Most brunch experts probably know their way around a Mimosa pretty well, but for those of you who may be Mimosa-babies, here’s a Mimosa crash course. WHAT: Just so you know what you may be getting into a classic Mimosa is a combination of sparkling wine or champagne and orange juice. 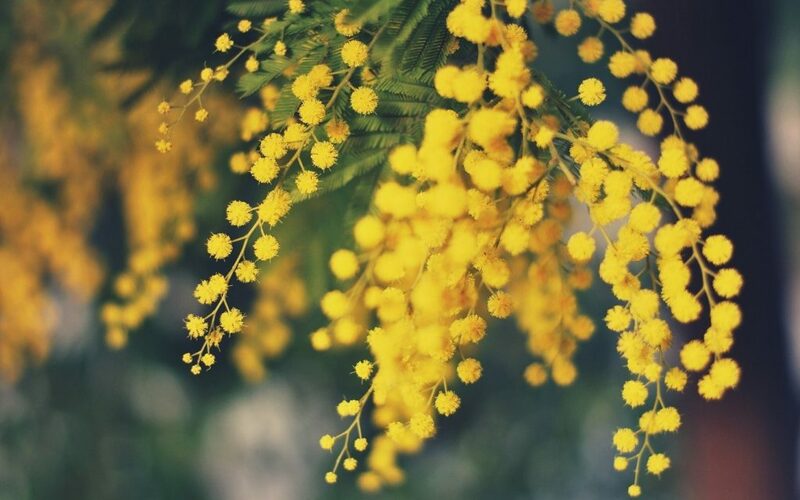 Named after the sweetly scented Mimosa tree which blooms with orange juice colored flowers, mimosas are the cherry on the top of the brunch cake – or the actual cake of the brunch cake, depending on who you talk to. Mimosas are served in champagne flutes, so it looks dainty but really it holds just as much wine as a wine glass. It’s a trick, so you can make your friends think you haven’t had a lot to drink when actually you’re boozing hard – first thing in the morning. The magic part of the whole brunch experience is that the food tempers the early morning bender so you don’t get wasted. Also, it could help you with a hangover, i.e. hair of the dog. 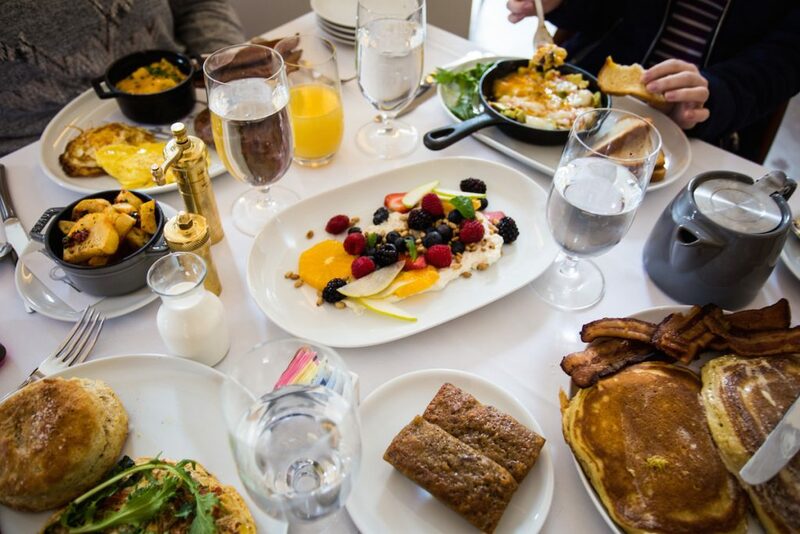 WHEN: Brunch experts agree that the meal should start and end with Mimosas. A sip (or chug) at the beginning of the meal is hands-down the best amuse bouche. Your mouth will be partying way before the frittata arrives and the subtle warmth of the sparkling wine reminds you of the warm bed you left to get to brunch. The warm bed grief is real but not as real as a rumbling stomach, which is why you ended up at brunch in the first place. WHY: Mimosas are a socially acceptable reason to drink alcohol before noon. According to our well researched brunch experts*, the fuzzy warm buzz which lasts throughout the rest of your day contributes to less anxiety, more life-enjoyment and a gentle hammock-swinging micro-vacay vibe on any random Saturday or Sunday. Major pluses. WHERE: Drink Mimosas at the table. With your friends. Toast to good health. POP-QUIZ: What is wrong with this picture below? That’s right. This picture depicts a brunch where someone forgot to order Mimosas. We’re not sure why, but we are reasonably concerned. We’re hoping they are all in the process of getting refills. Okay. You passed the test. HOW: Now that you know the basics of mimosa-time, you’re ready for your IRL experience. Go to brunch at Lockbox on Saturday or Sunday and order a bottomless mimosa. No secret password required. You’re already in the club. * Not actual scientists but very well-informed nonetheless.